We’re looking at 12 home decor looks where all signs point to country! We’ll break down what elements bright out that rustic warmth we call country. 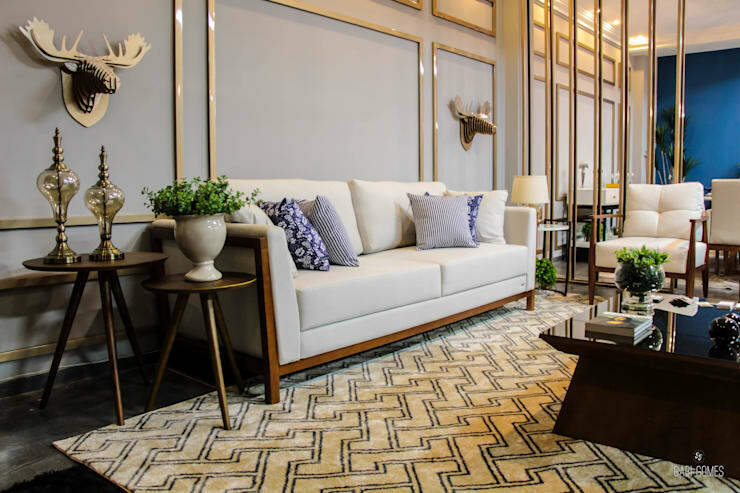 Get ready to see wood interiors, darling floral patterns, and neutral colour palette accented with creamy pastels. Country style homes are casual and have an air of nostalgia that can be irresistible. We’ll share what goes into getting a country style look and show you how to get one. If you find yourself drawn to these rooms, then you might be a little bit country. 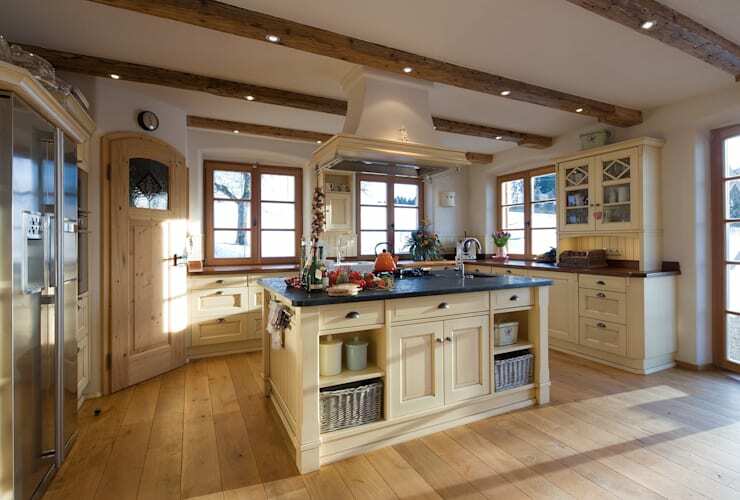 This kitchen uses natural wood finishes to get a rustic chic style. Letting the wood, stone, and brick shine on its own is very country. 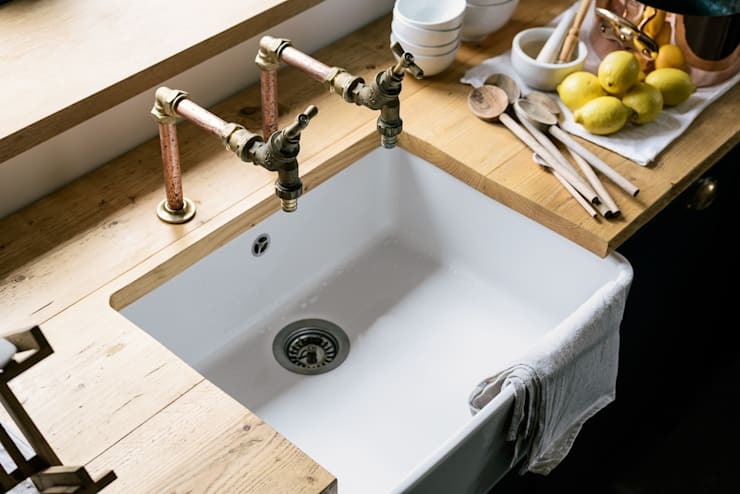 A sink that looks like it’s pulled from a vintage farmhouse makes a great addition to a country kitchen. Check out the reclaimed wagon wheels on the coffee table! Any kind of repurposed farm tools or equipment makes a home look rural and down-to-earth. 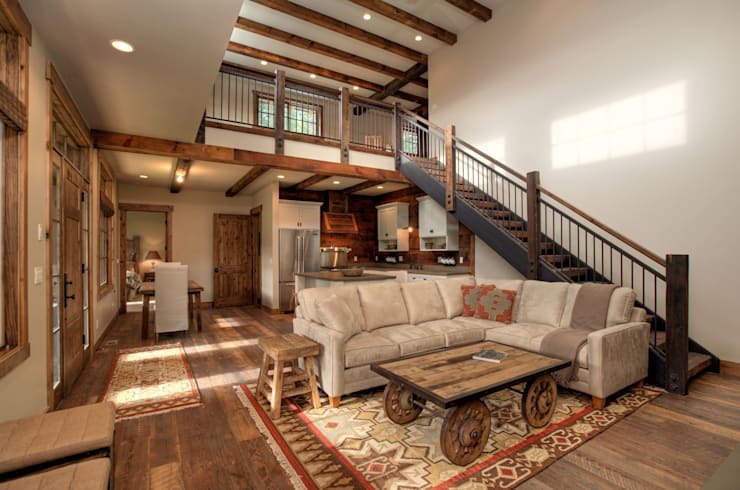 See more of this Ranch that balances modern and rustic in our feature. Country style homes are full of knick knacks. Pick out a few that speak to your style! Country details include; dried flowers, vintage and retro tins, hanging onions, ceramic ware, decorative china, and old jars. Add a woven wicker touch to your home to accessorize a country style. Natural patterns and textures work well in this room. 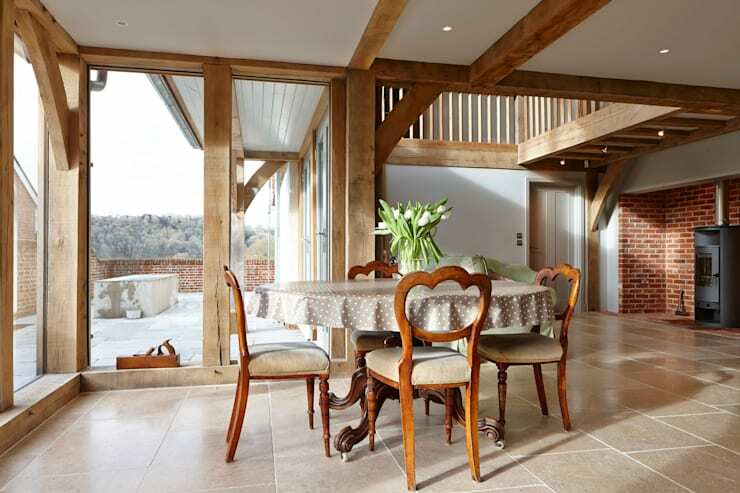 You might love country decor style for its reverence for nature. Fresh flowers tie together a country room perfectly and set the tone. 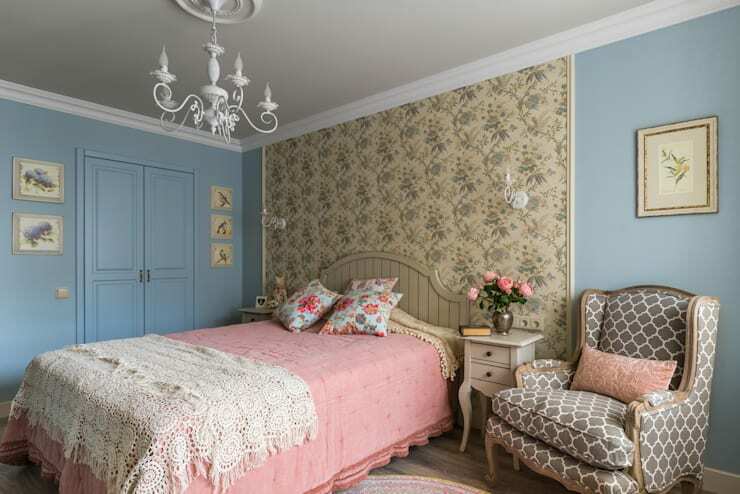 We love the pink, blue, and floral in this room! Rather than a cold and clinical space, a country style home will have an inviting bathroom. 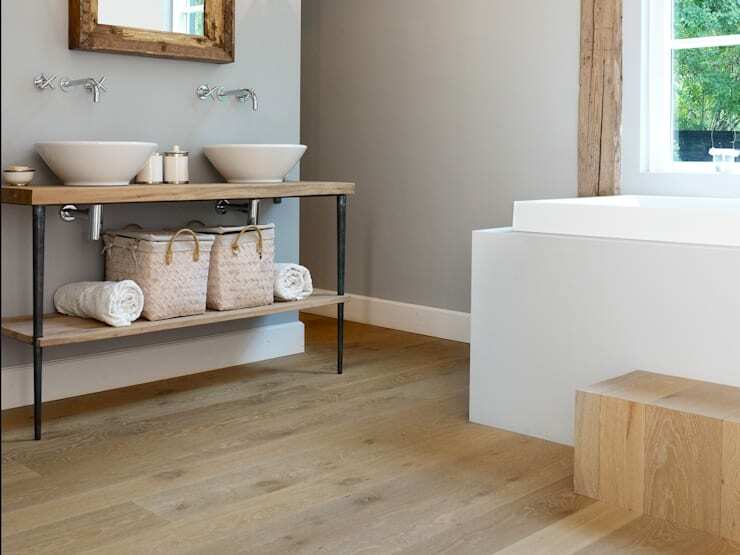 Wood fixtures help to warm up this bathroom, and favouring grey over white also makes it feel more inviting! It’s easy to find a place for vintage and retro furniture in a country style home. 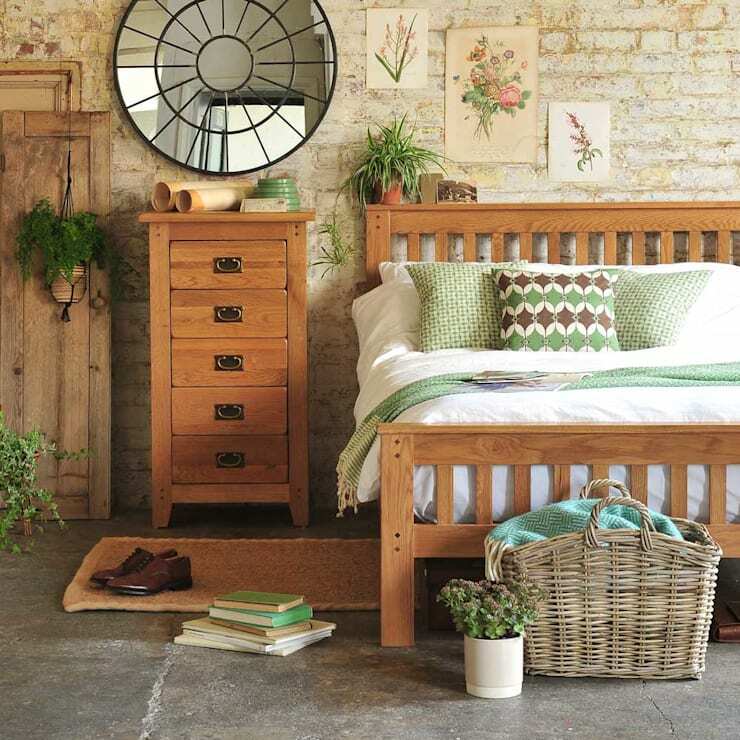 You can even save money by using second-hand furniture! This room has a dinning rom set with character and charm. 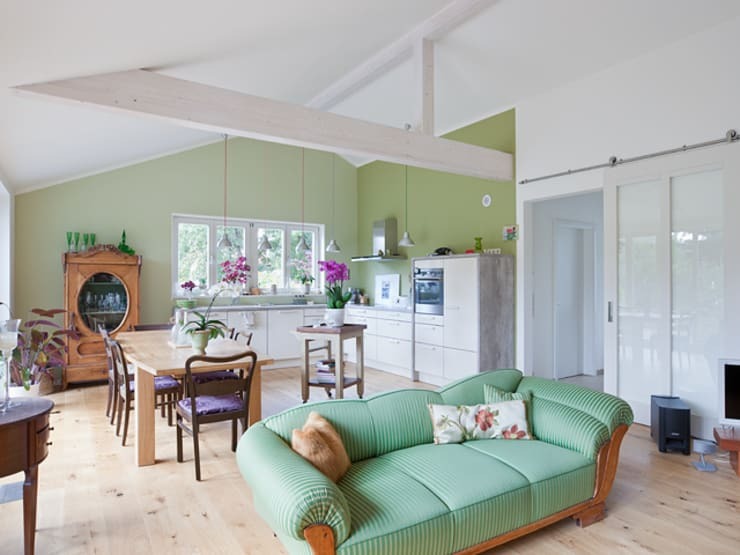 Talk with professionals on homify to get the look in your home. Too much stainless steel will easily break up a country style. Try to minimize appliances with stainless steel finish and change your stove hood to get more country. 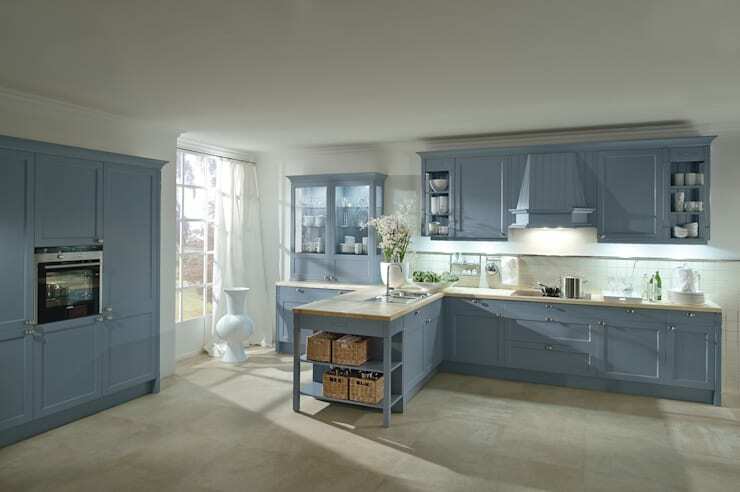 This kitchen has a dreamy pastel blue on the cabinets and hood. Cheerful pastels help brighten up the heavy wood used in a country home. Sprinkle in delicate and intricate patterns (think floral and pinstripe) throughout your home for more depth. Animal themed decor definitely has a home in country style! These faux-antlers add to the country charm of the room. Other animals we like to see in country style homes are cows, bulls, chickens, pigs, and geese. Country style is complete when you add a rustic touch. Fireplaces in brick or stone can easily pull a living room together. A cast iron stove gives you the ultimate in rustic sophistication! 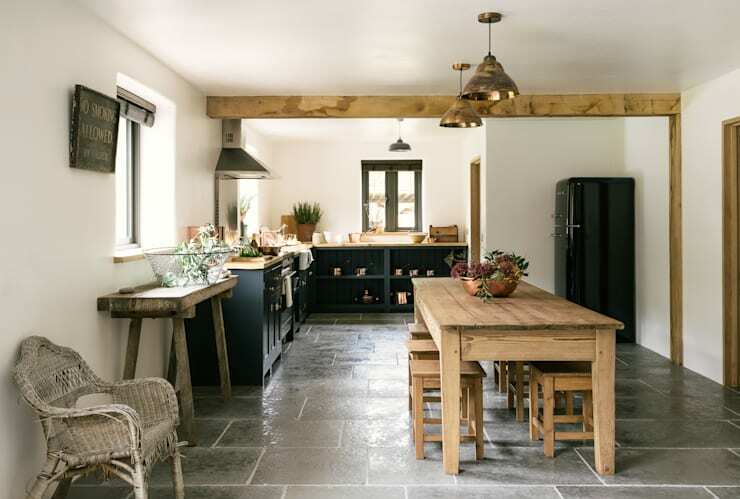 We hope you enjoyed our list of 12 tell-tale signs you love country style. 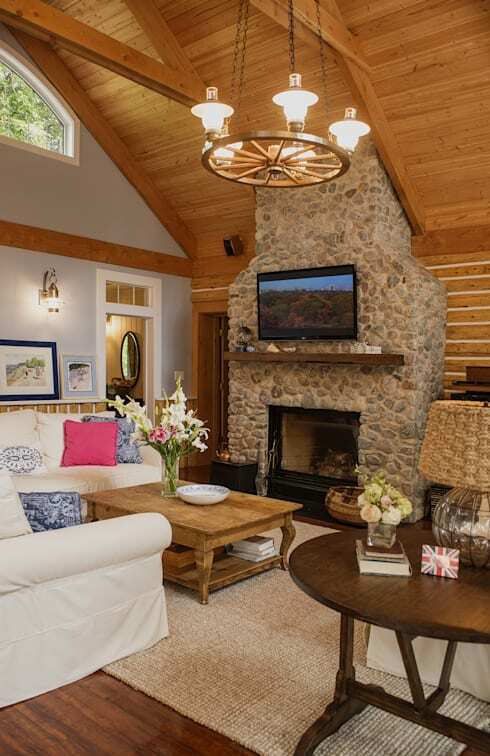 Next, check out our feature on 7 country cottage-style homes to covet. What do you love about country style?